It’s time again for Mixology Monday. This month’s theme is The Smash, courtesy of Stacy and her eponymous blog Stacy Markow. 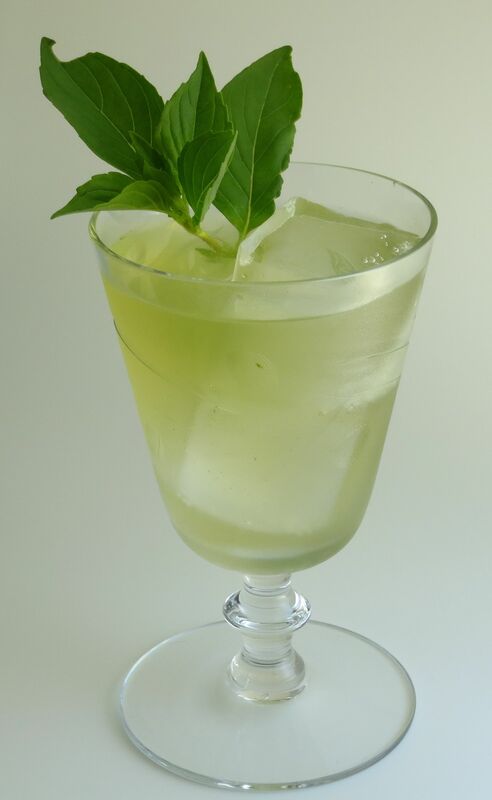 For those of you that don’t know, a smash is a base spirit mixed with a muddled herb (typically mint) and a sweetener and then poured over ice. Which seems like a pretty simple thing and therefore not very interesting. But as always, with a little creativity things can get fun pretty quickly. Read on to find out what we got up to. While mint is the usual herb for a smash, we wanted to switch things up a bit and try something different. 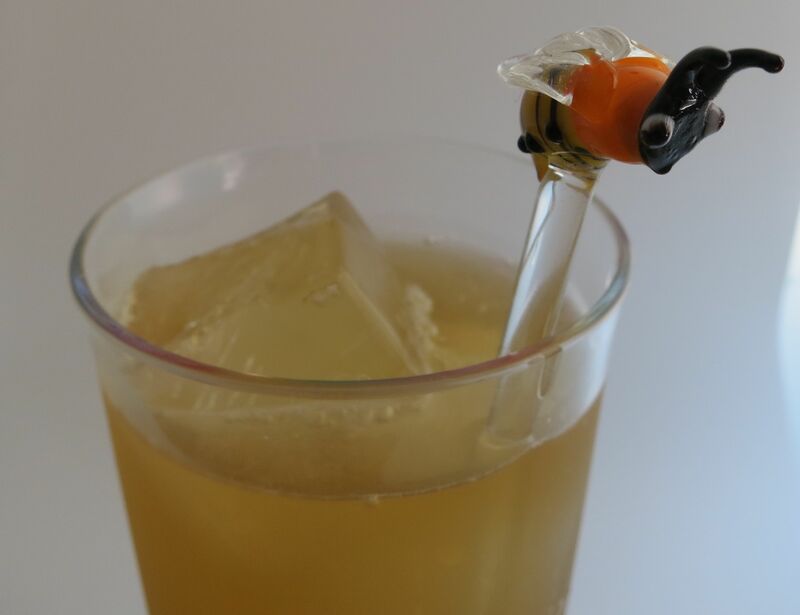 There are a lot of herbs available mid-summer around here, and we thought ones with lemon-y flavor profiles would be good candidates to make refreshing drinks. After reviewing what was on offer in our local shopping locations, we settled on lemon basil and lemon verbena. We tasted a few spirits with the lemon basil, and found it worked best with a sweeter, non-aged spirit. Definitely go with a sweeter white rum for this, a more agricole style ends up tasting like furniture polish. Lightly muddle leaves. Add other ingredients. Do a quick hard shake with ice. Double strain over ice. Enjoy! Nose: Herbal lemon and sugarcane, both are rather faint. Palate: Starts off with a little bit of alcohol bite with the sugary vanilla flavor of the rum. The mid-palate is lemon and then herbal flavor from the basil. Sweetness from the rum on the finish along with some interesting peppery notes from the basil. Very light and refreshing. The lemon verbena was sweeter and had slightly spicier/woodier flavor, a bit reminiscent of thyme. It handled the barrel notes from an aged spirit just fine, so we decided to double down on the botanicals and use an aged gin. Palate: Starts with sweet lemon and bracken/moss notes (think damp forest, but in a good way :D). Followed by bright lemon and gin botanicals on the mid-palate. Surprisingly spicy, woody notes on the finish. The combination of the spirit and the verbena play a bigger part in this drink than in the first one, which is really driven by the basil. The lemon picks up as the drink dilutes, as do the mossy bracken notes. It sounds odd, but it’s a tasty combination. Initially we weren’t that excited about this theme, as we didn’t think there was a whole lot we could get out of such a simple formula. However, we found you can still get a decent amount of complexity out of a drink with only 3 ingredients if you play around with some interesting and quality ingredients. It pays to look through your garden, your local farmers market, or the produce section at your super market to find herbs you can experiment with. Then open up your liquor cabinet and start experimenting! 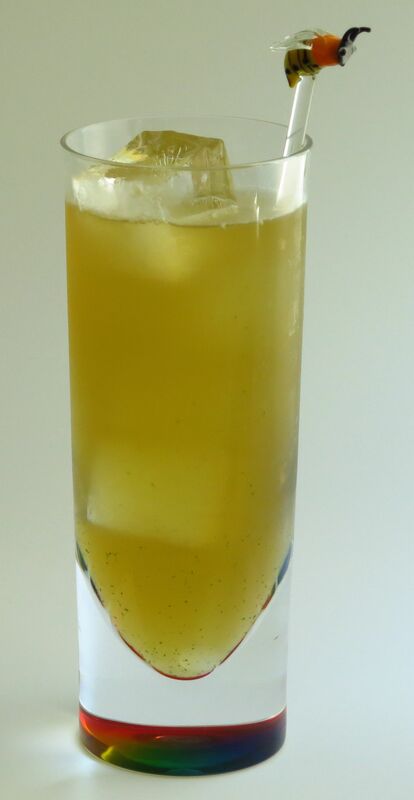 This entry was posted in barrel aged gin, honey, lemon basil, Mixology Monday, white rum and tagged 3 howls barrel aged gin, hail notos cocktail recipe, matusalem platino rum, smash cocktail, waggle dance cocktail recipe. Bookmark the permalink.